Voters really are anti-Washington this year. It doesn't bode well for incumbents facing tough challenges in November. Businessman David Perdue narrowly defeated 11-term Rep. Jack Kingston Tuesday in a Republican runoff election for Georgia's U.S. Senate nomination, setting up a general election race against Democrat Michelle Nunn with national implications. With all precincts reporting, Perdue led Kingston by approximately 8,500 votes out of over 480,000 cast. 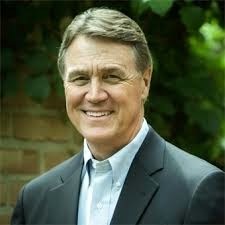 Perdue's victory validates the former corporate CEO's campaign as an outsider. The former CEO of Reebok, Dollar General and the failed textile firm Pillowtex, Perdue offered his private sector record and tremendous wealth as proof that he can help solve the nation's ills in a Congress largely devoid of experienced business titans. He spent more than $3 million of his own money blasting Kingston -- and other primary rivals before that -- as a career politician, including one ad depicting his rivals as crying babies. "If we want to change Washington, then we've got to change the people we send to Washington," he would say as he met voters.